BEZT juxtaposes saturated colors and loose brushstrokes with delicate, refined lines and patterns, his work is resistant to the ascription of excessively assigned meaning, preferring to allow the imagery to speak for itself. The polish artist is mostly known for his large-scale murals painted with Sainer as part of the Etam Cru duo. Their pieces are usually infused with hints of Eastern European folklore. The scenes that Etam Cru depicts are rarely static, reminiscent of various graphic novels. 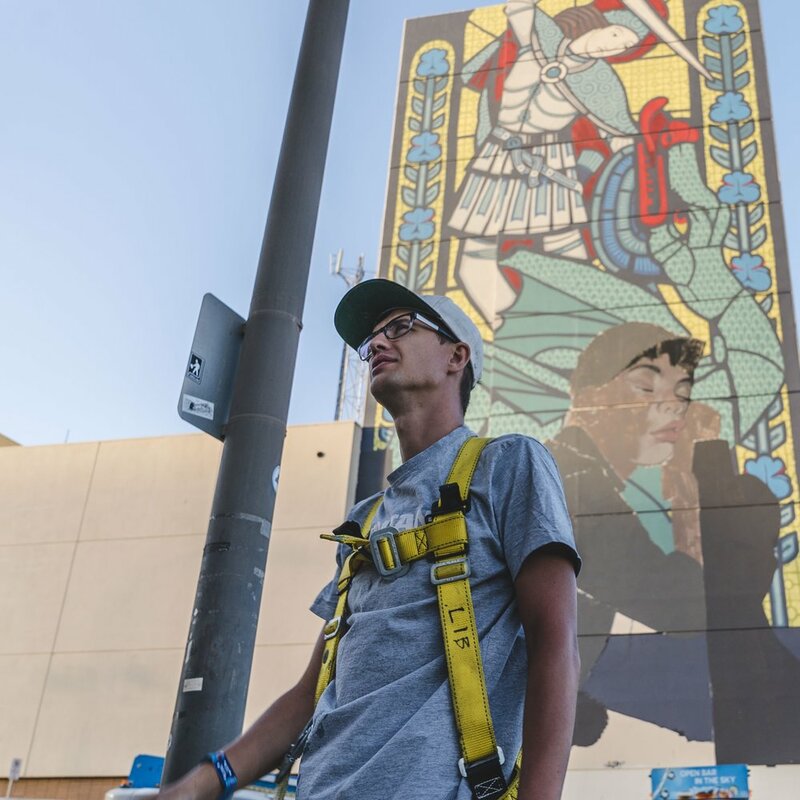 Every aspect of their colorful murals seems to be in motion: animals and houses come to life and human characters gain abilities that defy the laws of physics. Etam Cru impresses their worldwide audiences with their drawing skills as well as their handling of spray cans and their mastery of classical painting with acrylics and oil. The way Sainer and Bezt unite pop-cultural with realistic imagery results in a deeply surreal, fantastic ambiance.